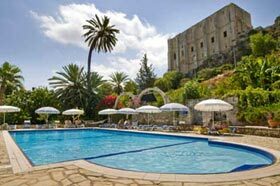 A charming historic boutique hotel located next to Kyrenia harbour, within a few minutes walking distance to magnificent castle and shops. 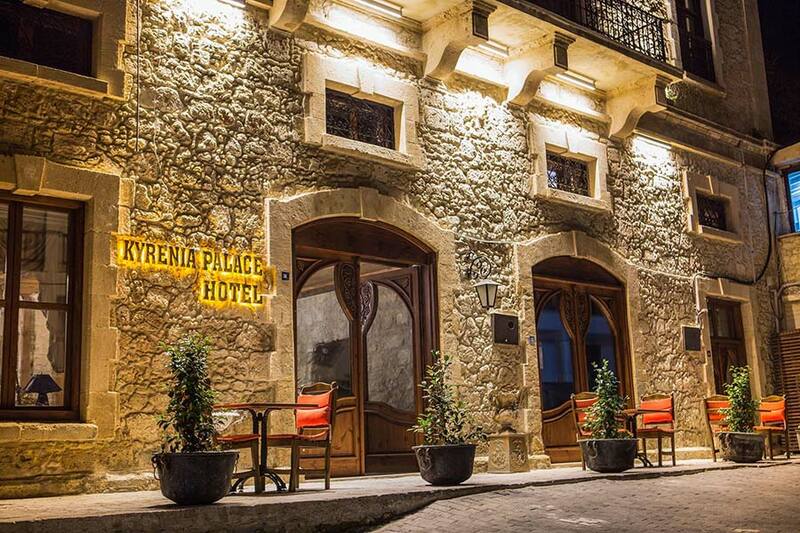 Situated near the historic Kyrenia harbour, Kyrenia Palace boutique Hotel in North Cyprus is a magnificent boutique hotel sensitively restored from an ancient stone building by preserving its original architecture. 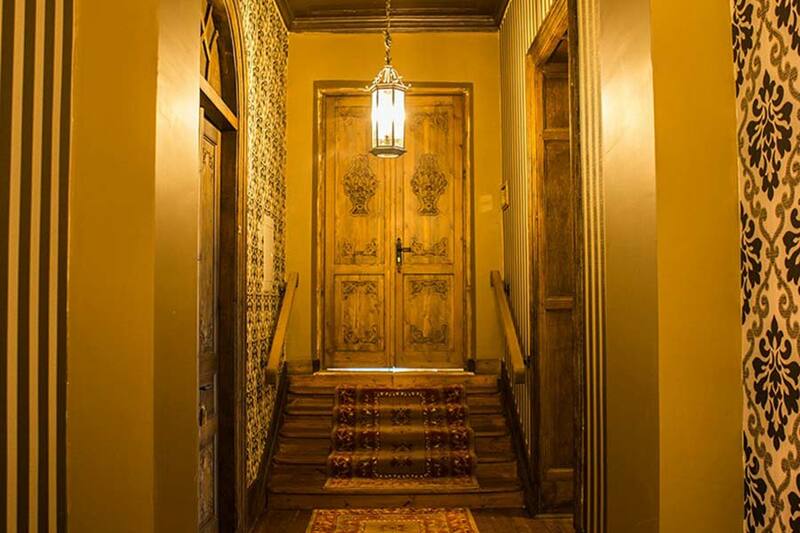 It was originally built as a private mansion with charming courtyard in 1889 and transformed into an intimate boutique hotel in. 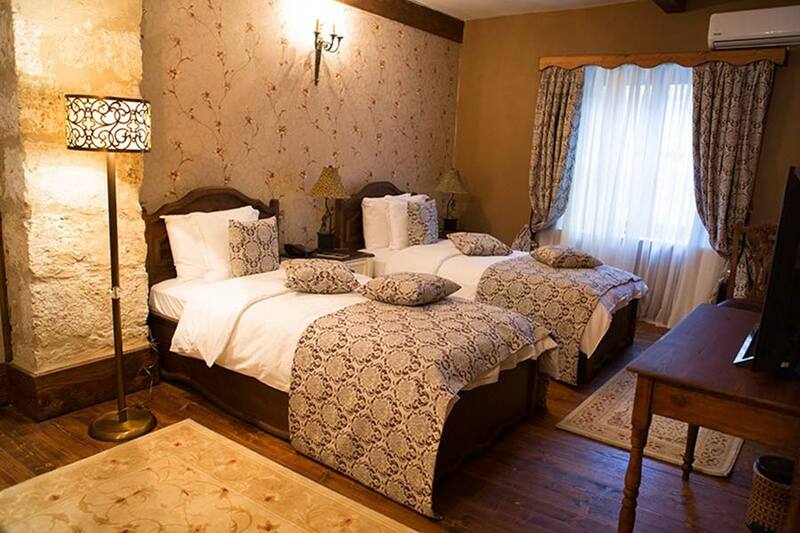 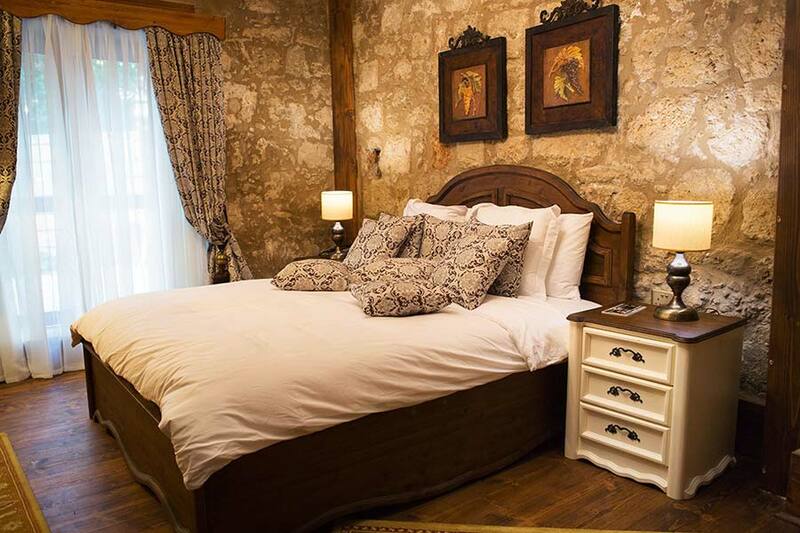 The hotel has 11 spacious rooms featuring modern comforts with extraordinary décor, and a wonderful restaurant located in the historic courtyard with beautiful garden. 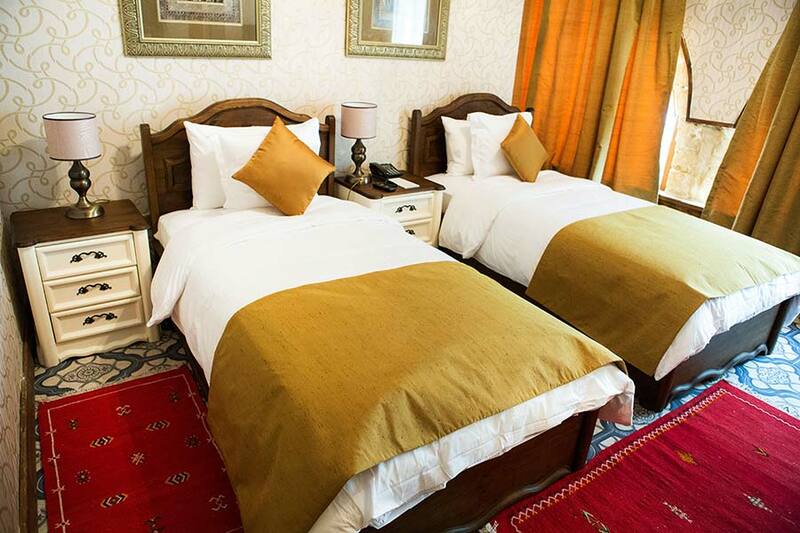 The hotel has 11 spacious deluxe and suite rooms. 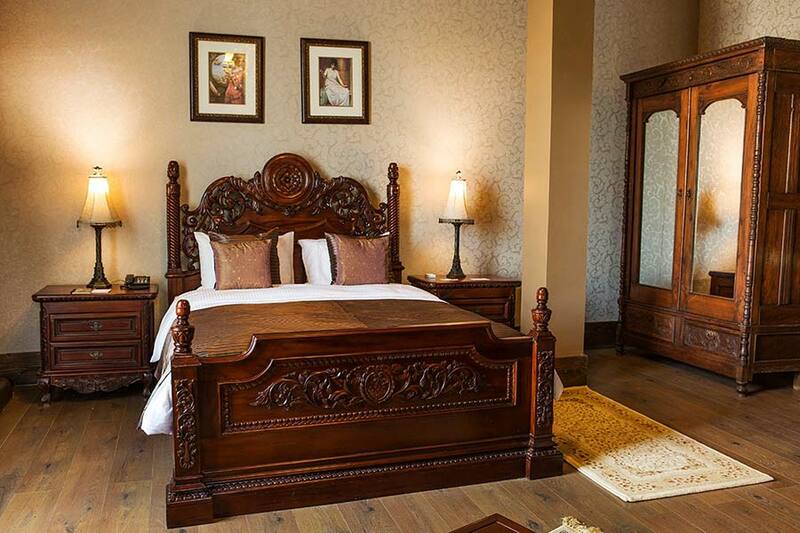 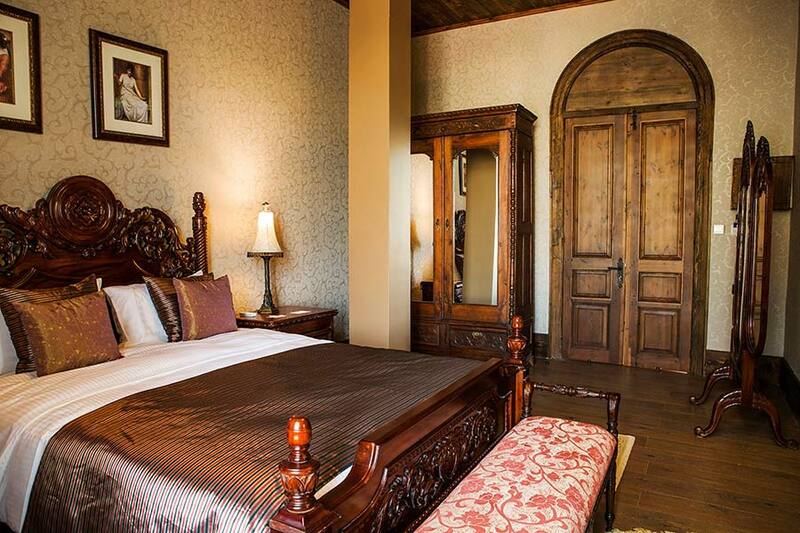 The characteristic of the historic building is reflected in the various styles of each room. 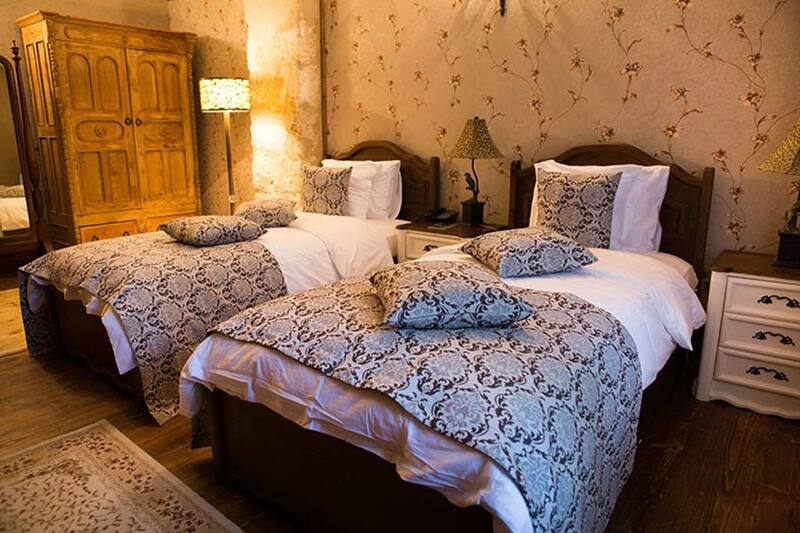 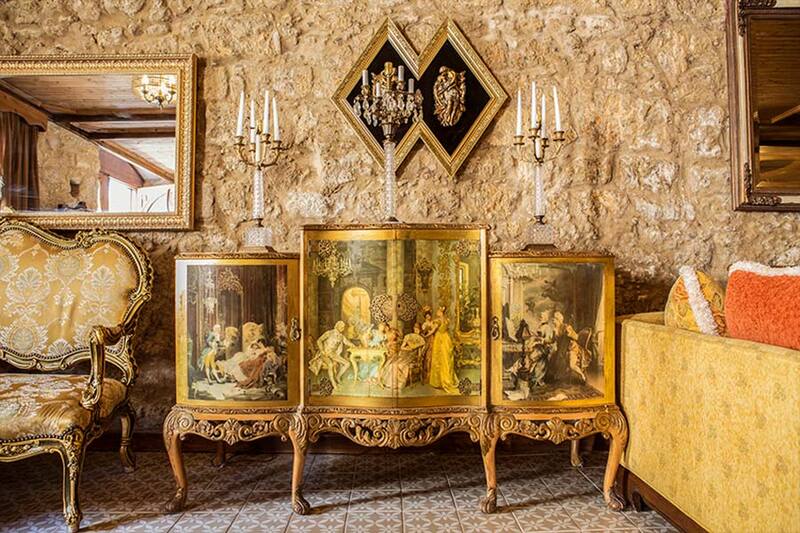 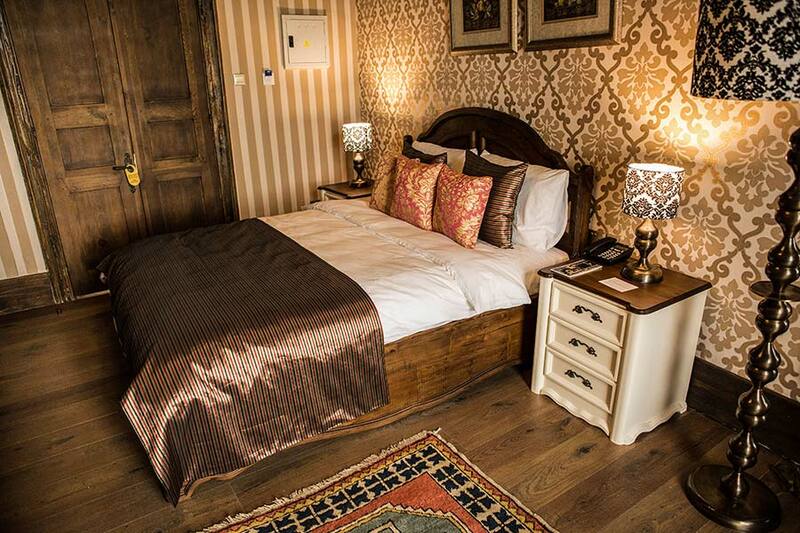 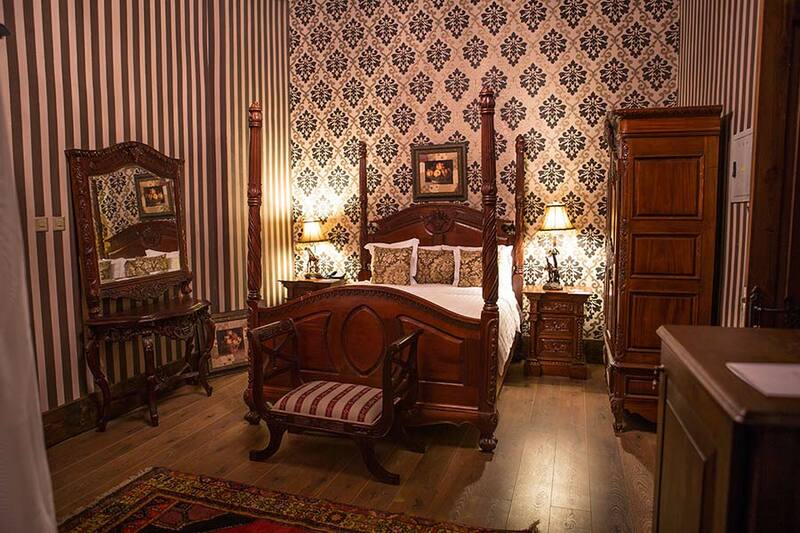 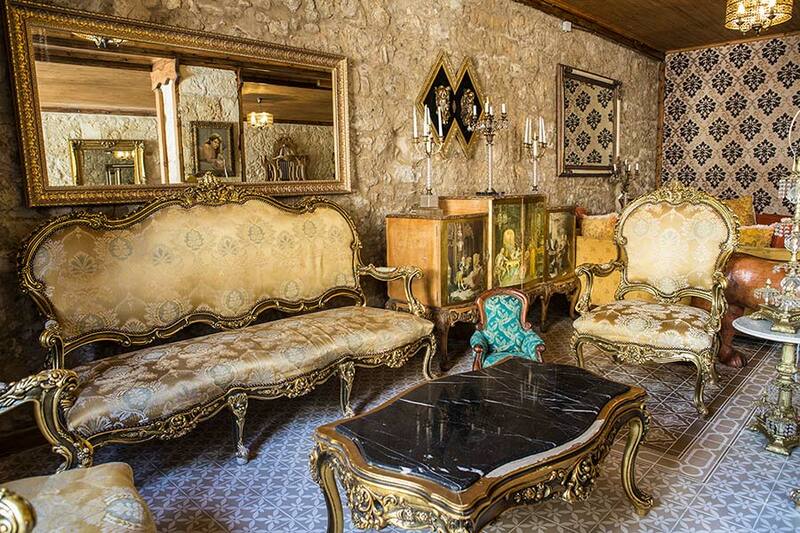 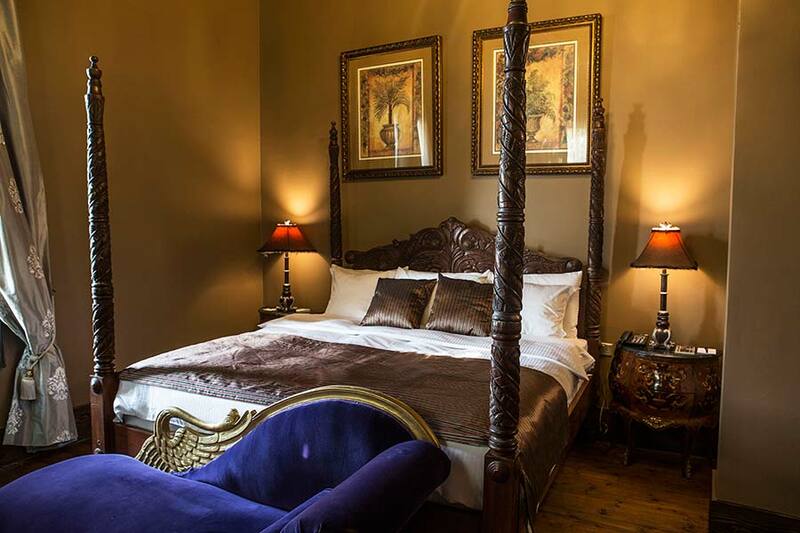 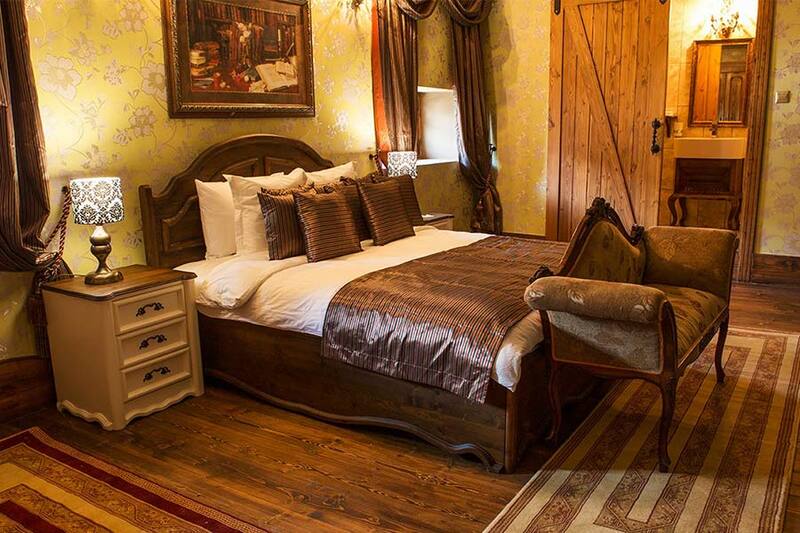 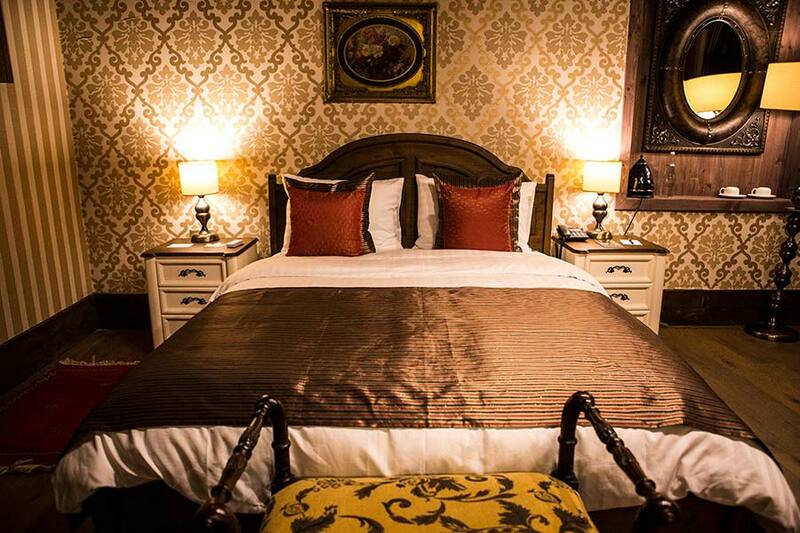 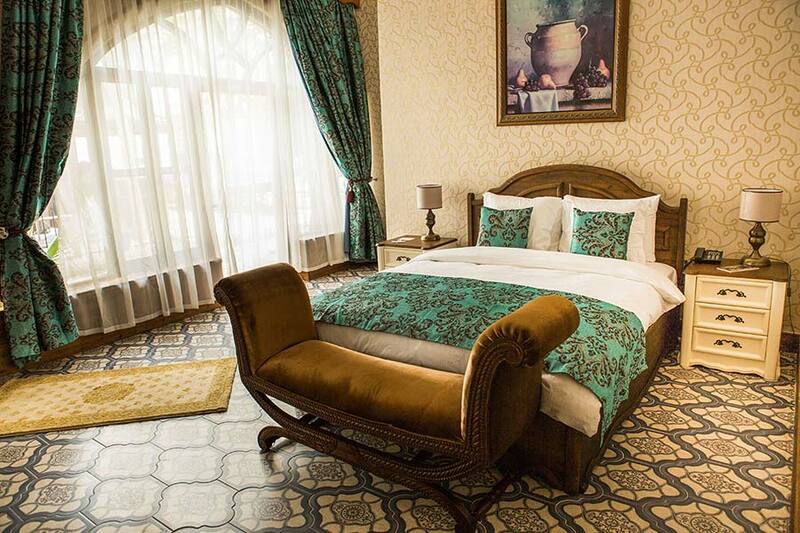 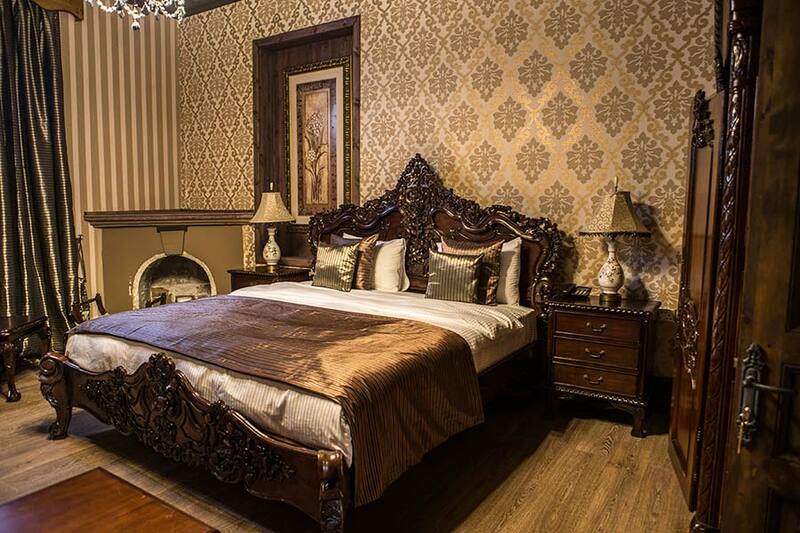 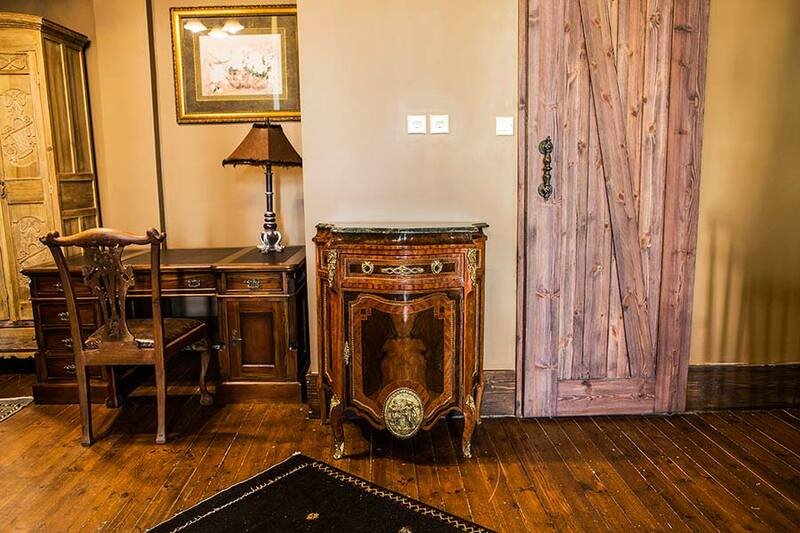 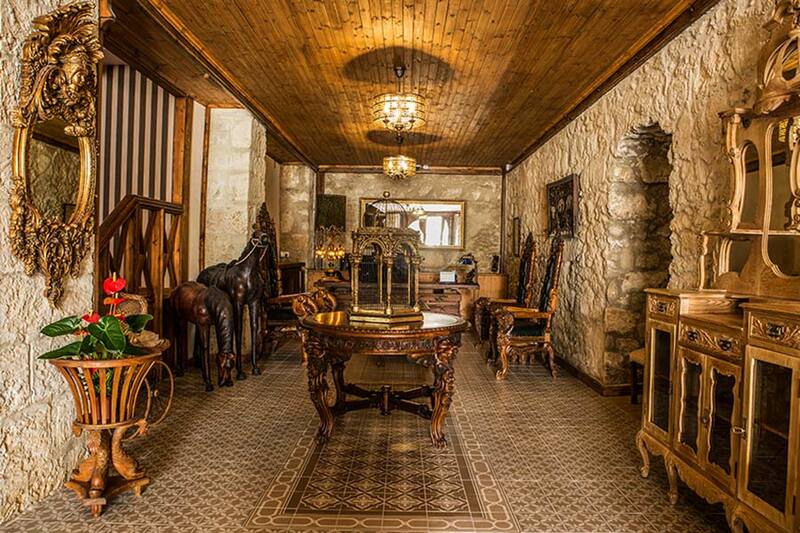 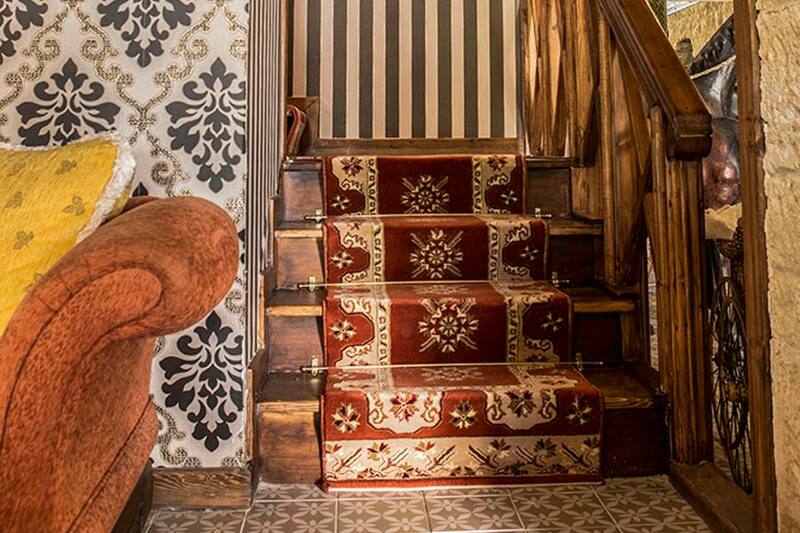 Each room guarantee a comfortable stay, and is beautifully decorated with valuable furniture, extraordinary antiques, chandeliers, wall clocks and oil paintings. 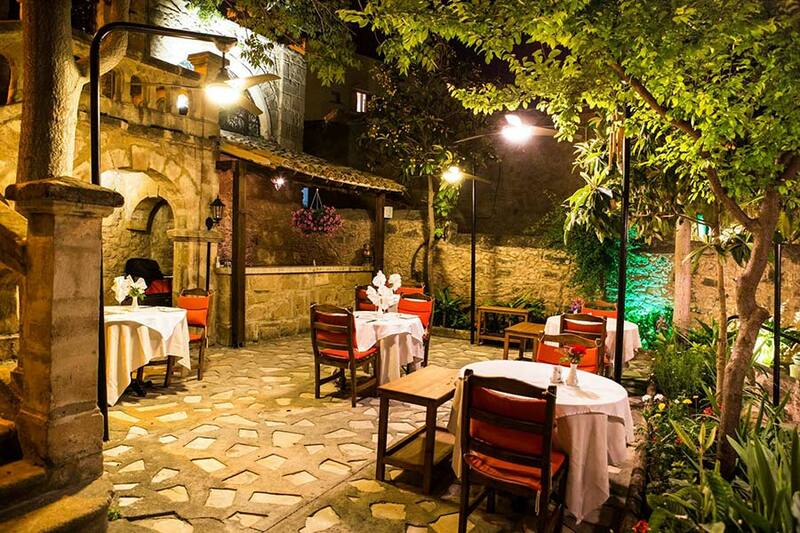 The hotel has a wonderful restaurant in the ancient backyard garden, offering an expert choice of traditional dishes all freshly prepared with the finest locally sourced ingredients. 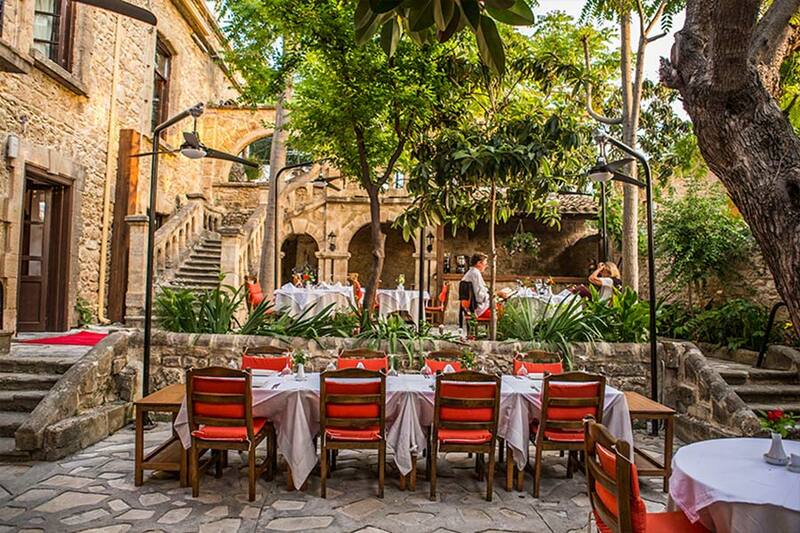 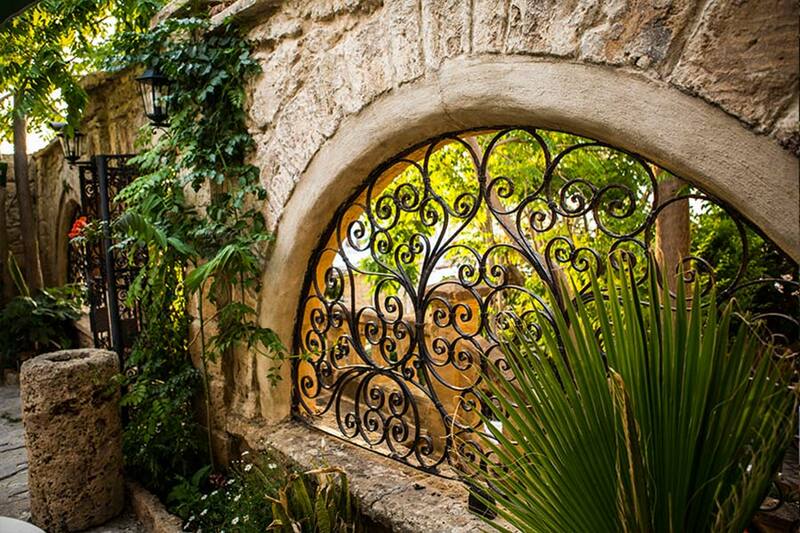 Guest can enjoy cheerful meals where Mediterranean flavours, history, quality and music gathers. 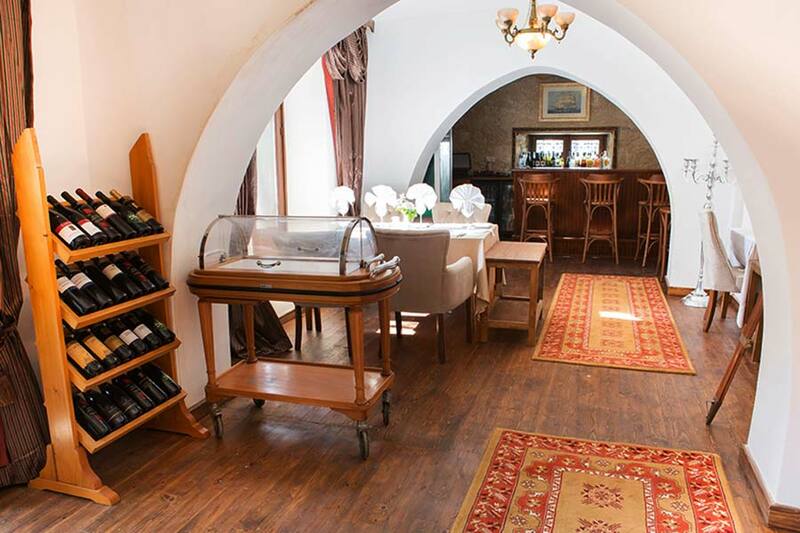 There is also a bar where guest can enjoy wine, cocktails, champagnes and more. 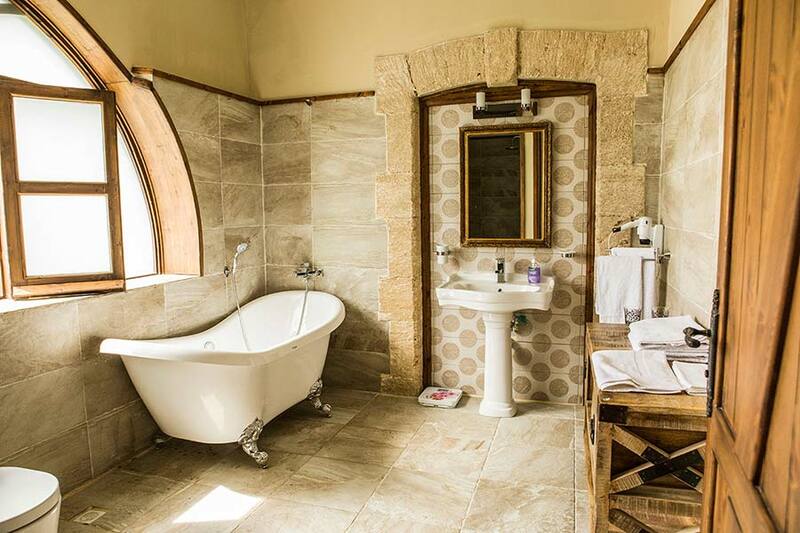 Revitalise your mind, body and soul in the spa with a massage. 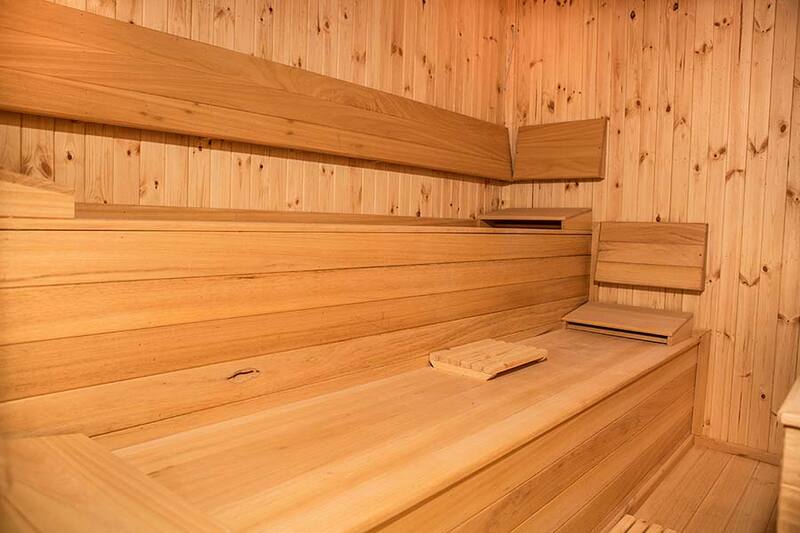 Rest area, sauna and fitness section are free-of-charge services for the hotel guests. 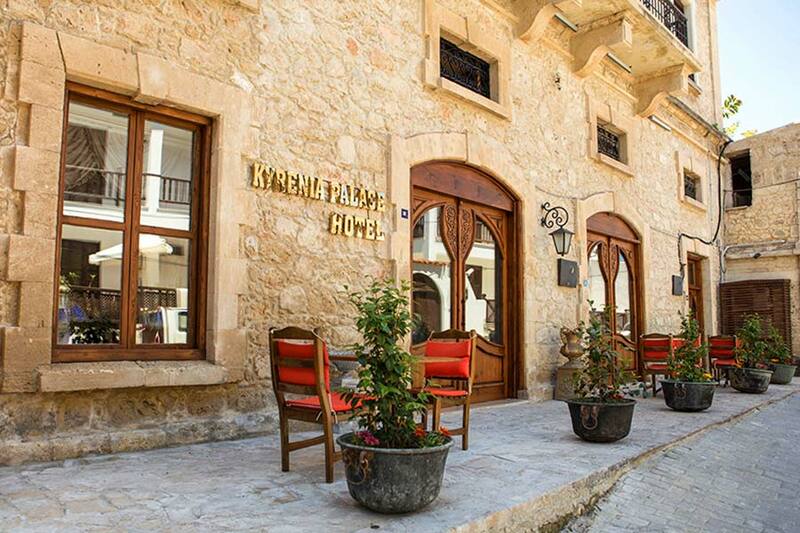 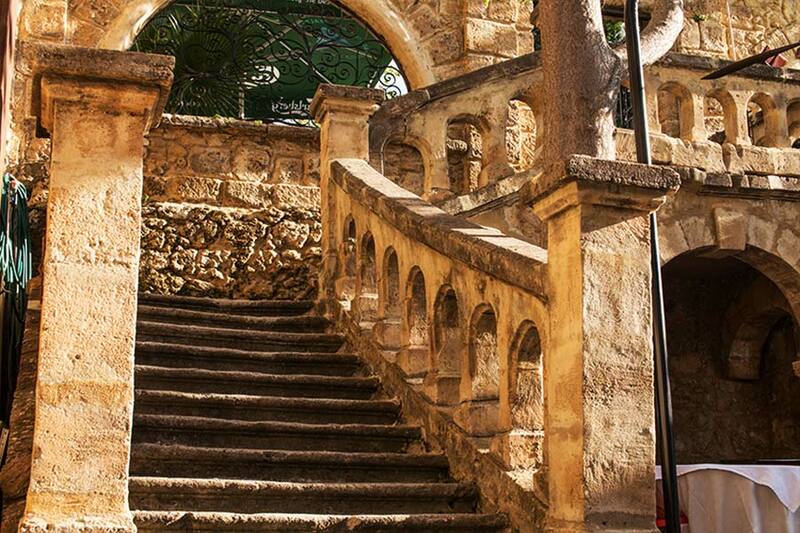 Kyrenia Palace Boutique Hotel is located on a narrow street next to the Kyrenia Harbour, near the Kyrenia Castle, and within a short stroll to everything. 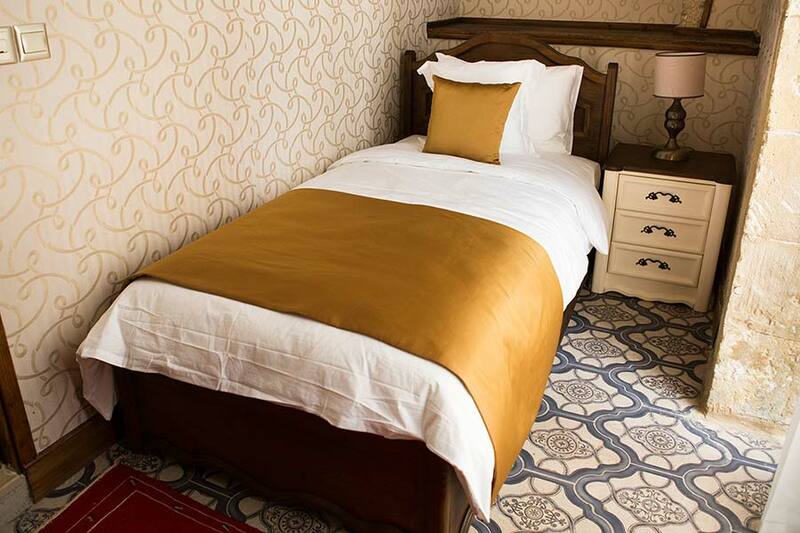 The hotel is situated next to an ancient functional mosque. 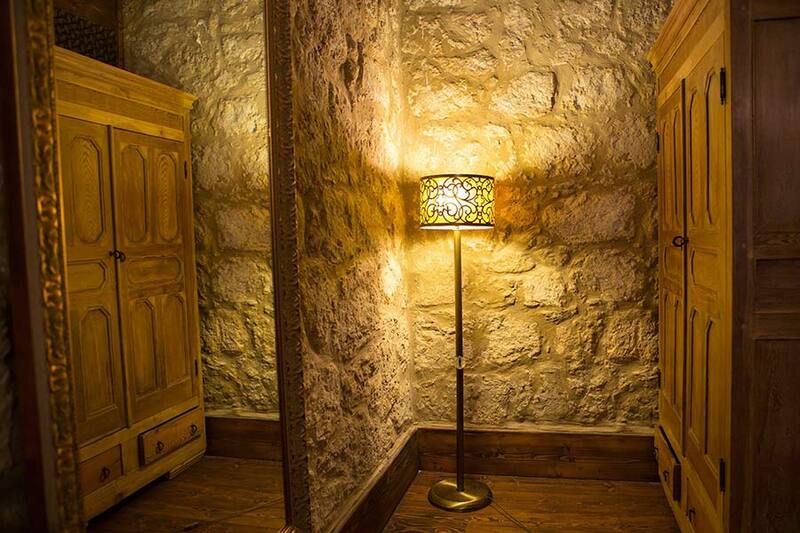 So, if you wish not to be within earshot of the early morning call to prayers, ask for a room on the other side of the hotel. 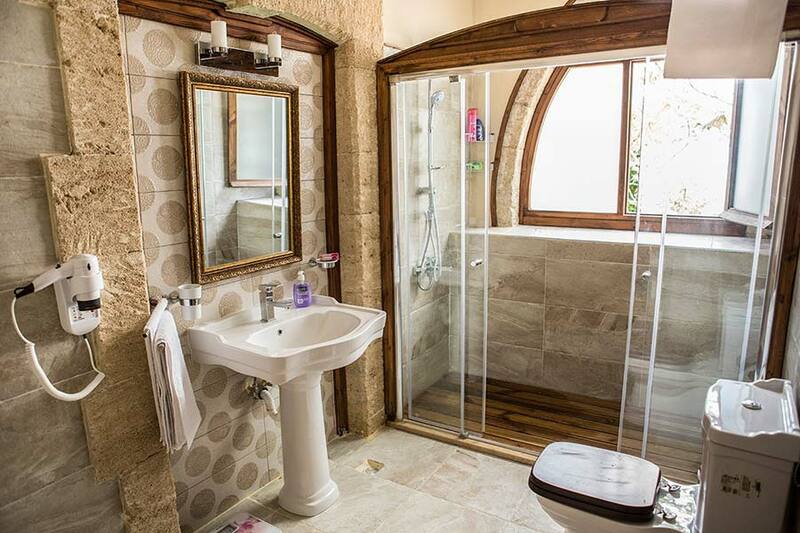 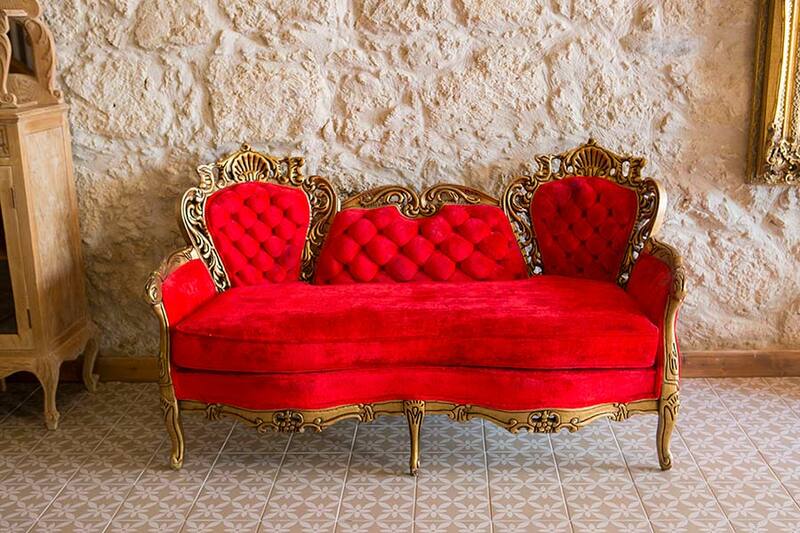 "Beautiful hotel in the centre of Kyrenia"
We have recently stayed in this magnificent hotel. 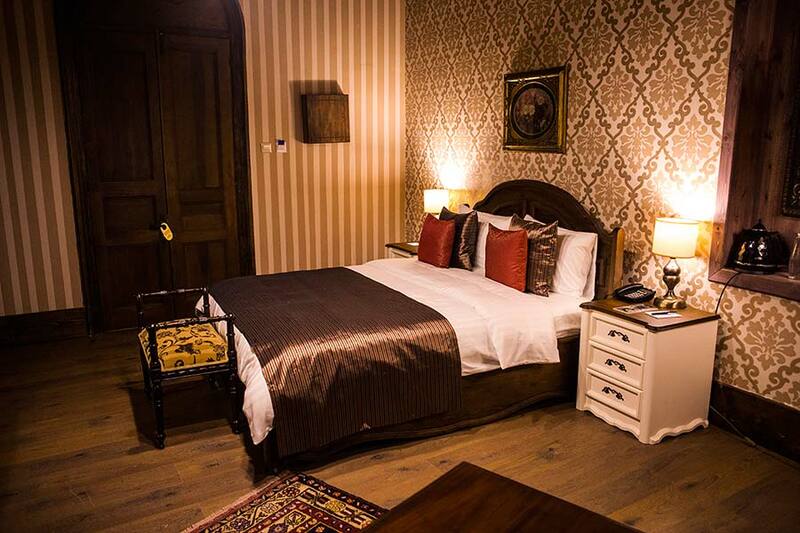 The rooms were very impressive, the location was right on spot, just behind the historic harbour. 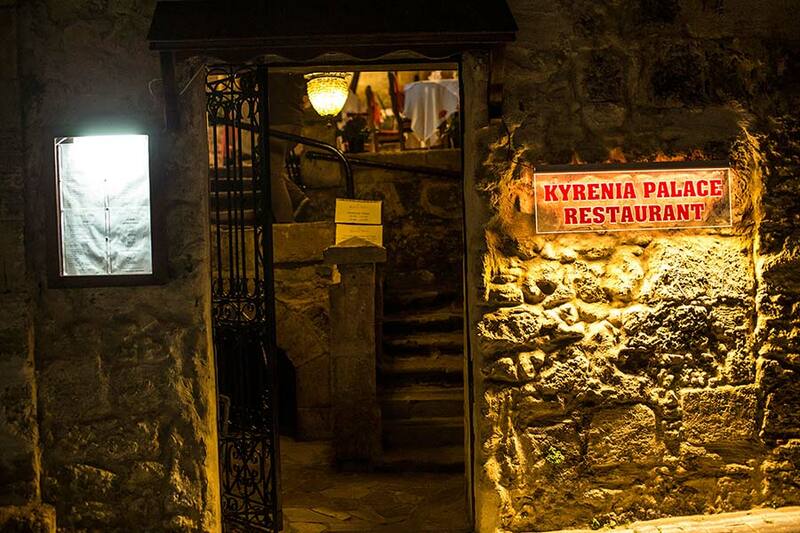 There were quite nice restaurants on the historic cobbled streets in town of Kyrenia. 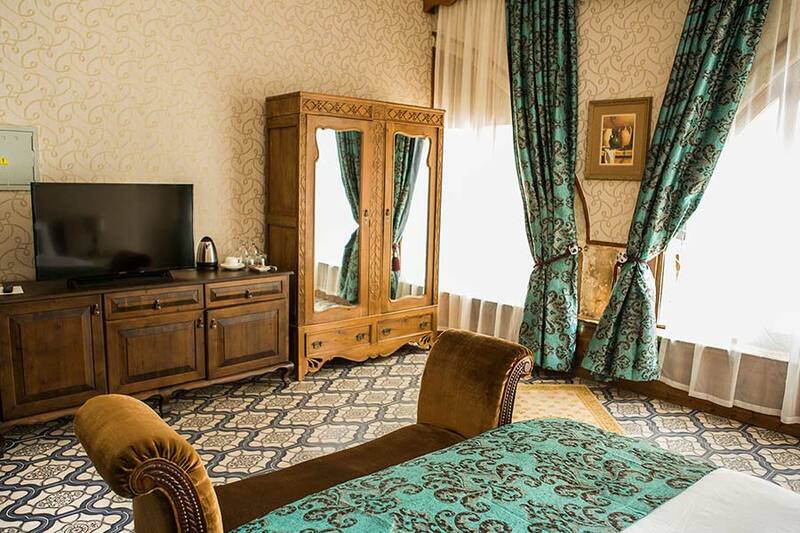 We would definitely recommend this hotel if you are looking for a centrally located hotel close to everything, the harbour, castle, shops, restaurants... etc. 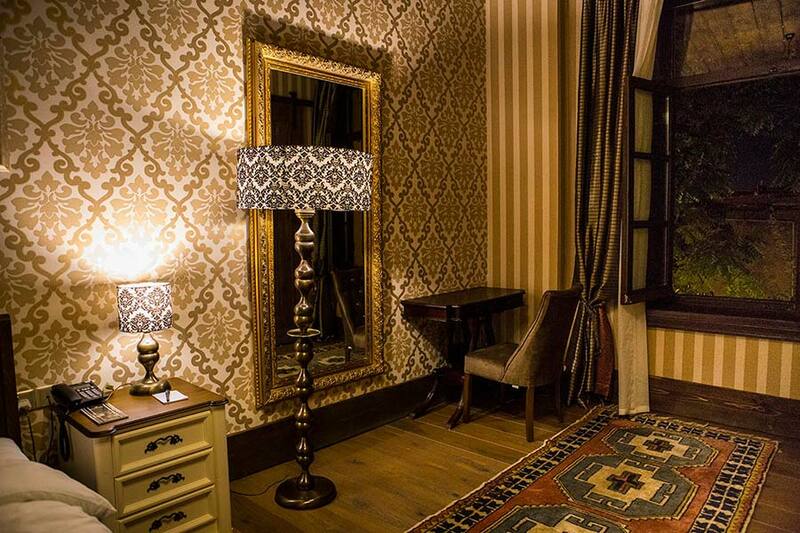 All the staff members were very helpful. 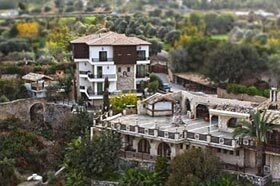 We would definitely recommend this hotel for a short break in Kyrenia.